LEAD North, formerly known as North Tulsa Development Council (NTDC), was formed by four graduates of a four-month leadership pilot program sponsored by the city of Tulsa. 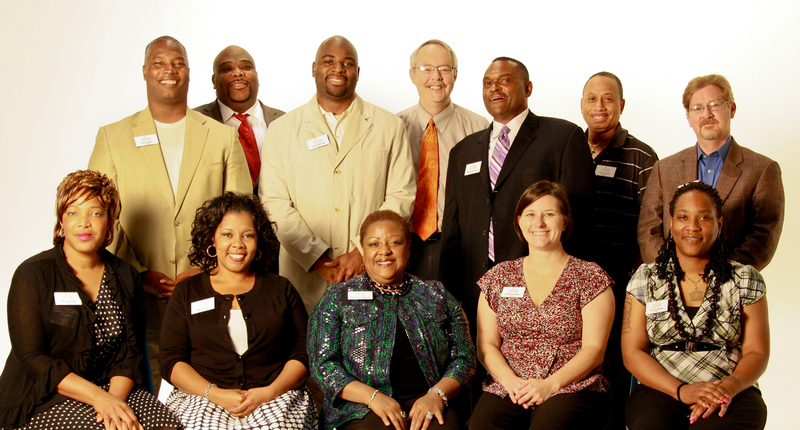 In the Fall of 2008, the desire to address the disparities in the community inspired the creation of the North Tulsa Development Council (NTDC), a grassroots organization focused on capacity building and leadership development. The founders of NTDC envisioned having a self-sustaining program that would raise and empower leaders to affect change in their community. In September 2009, NTDC launched its first class with 15 participants. The class proved to be a success, but it became apparent that the continuation of the program would require dedicated funding and significant staff and volunteer support. This realization resulted in a seven year partnership with a parent organization, which shared many similarities in mission and structure. In 2015, through the generous donation of one of its funders, NTDC was rebranded – emerging with a more focused and targeted name for the organization, LEAD North. As LEAD North continues to grow, it remains true to its mission to develop individuals who have a passion for north Tulsa into committed and effective leaders. LEAD North began as the North Tulsa Development Council (NTDC) in 2009. NTDC was designed to be a leadership training and education program that allowed participants to immerse themselves in north Tulsa through a variety of field trips, guest speakers, panel presentations, interactive activities and a class project.